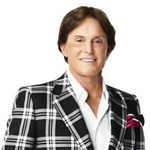 Caitlyn Jenner (born William Bruce Jenner 28.10.49) is a former Olympic athlete and Gold medal winner, who turned to a career in television. Net Worth: According to Celebrity Net Worth in March 2015, Caitlyn Jenner has a net worth of 100 million USD. Childhood: Caitlyn Jenner was born in Mount Kisco, New York, to Esther R. and William Hugh Jenner. She had three siblings, Lisa, Pam and Burt. As a young child, Jenner was diagnosed with dyslexia. She studied at Sleepy Hollow High School, Sleepy Hollow, New York, for a year, before attending Newtown High School, Newtown, Connecticut. She was later able to earn a football scholarship to Graceland College in Iowa. Due to a knee injury, Jenner was forced to give up football and took up decathlon. Career: Caitlyn Jenner was mentored by L. D. Weldon who pushed her to compete in the 1970 Drake Relays, which led to her coming fifth. She competed in the 1972 trials for the US Olympic Team, going on to finish in 10th place at that year's Summer Olympics in Munich, Germany. She graduated from Graceland with a degree in physical education in 1973. In 1976, at the Montreal, Canada, Summer Olympics, Jenner won the gold medal for decathlon. The win turned Jenner into a national hero in America, as most of the gold medals were held by soviet countries and this win happened at the height of the Cold War. After making various commercial appearances, Jenner had the staring in the 1980 Village People movie, 'Can't Stop the Music'. The film bombed at the box office, and earned Jenner a Golden Raspberry award. In the same year, she also starred in the made-for-television film, 'The Golden Moment: An Olympic Love Story' and in 'Grambling's White Tiger' the following year. She also guest-starred on the police television show 'CHiPs' for six episodes between 1981 and 1982. In January 2002, she appeared on the American series of 'The Weakest Link' featuring Olympic athletes. Through February and March of 2003, she appeared on the first American series of 'I'm a Celebrity...Get Me Out of Here! ', before appearing on 'Skating with Celebrities' between January and March of 2006. She continued to work on various different reality television shows, including an appearance on 'Keeping Up with the Kardashians'. Personal Life: In 1972, Caitlyn Jenner married Chrystie Crownover , and they stayed together until 1981, after having two children together - Burt and Casey. 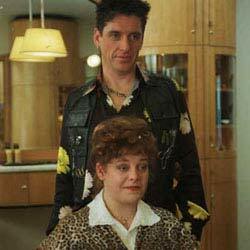 In the same moth as her divorce being finalised, she married Linda Thompson, and the couple had two children - Brandon and Sam Brody - before separating in 1986. On 21st April 1991, Jenner married Kris Kardashian, and became a stepfather to Kourtney, Kim, Khloé and Rob. The couple separated in October 2013, before Kardashian filed for divorce in September 2014, with it becoming finalized in December 2014. In April 2015, Jenner came out as transgender in an interview with Diane Sawyer. She later appeared as Caitlyn for the first time publicly on the cover of Vanity Fair magazine, gaining huge international attention and support. She maintains that she is still attracted to women and has not undergone gender reassignment surgery. TV personality and former Olympian, Caitlyn Jenner, has spoken out about her youngest daughter's pregnancy, revealing Kylie struggled to tell her she was pregnant and that Caitlyn had hoped she would be 30 by the time she finally had kids. Speaking on ITV's panel show, Loose Women, Caitlyn - who was married to Kylie's mom, Kris Jenner - also spoke out about how her kids still call her 'Dad' and her new relationship with 22-year-old, Sophia Hutchins. The complicated relationship with Caitlyn Jenner and her ex-wife, Kris continues to rumble on with Caitlyn now declaring the Kardashian/Jenner matriarch was aware of her gender identity struggle during their relationship. Caitlyn and the Kardashians - which comprise Kris and Caitlyn’s three step-daughters, Kourtney, Khloe and Kim - have been at war since the release of Caitlyn’s tell-all book in 2016, The Secrets of My Life. Now the star of I Am Cait has revealed Kris - with whom she shares daughters Kendall and Kylie Jenner - was aware of the changes to her body she was going through as a result of hormone therapy. She still has no interest in dating. According to recent and rather unreliable sources, Caitlyn Jenner has found love in the form of a young transgender college student. However, those rumours have been thoroughly quashed, because the media personality simply isn't ready for a romance with anyone - and won't be anytime soon. The 68-year-old trans superstar is focusing on being her best authentic self at the moment, and has no interest in a romantic relationship despite rumours that she has been dating 21-year-old fan Sophia Hutchins. She's under fire for referencing the song 'Dude Looks Like A Lady'. Not for the first time, Caitlyn Jenner has managed to anger a great many of the transgender community this week for comments that people have deemed insensitive and crass. She posted a shot of herself together with Steven Tyler, but it was the caption that has caused issues. Since her transition, Caitlyn has been a vocal advocate for trans rights across the world, but sometimes she gets it very, very wrong. After meeting up with one of her musical idols, Aerosmith frontman Steven Tyler, she unveiled a photo of the pair of them on Instagram with a reference to one of his biggest hits. Could Caitlyn Jenner Be Heading For Congress? Since Donald Trump’s inauguration, LGBT advocate Caitlyn Jenner has been a vocal critic of his stance on transgender rights and it seems she thinks she can do such a better job, she wants to run for Congress herself. The reality star of I Am Cait has said she has "considered" running for one of California's US Senate seats because she likes "the political side of it". Speaking on a radio show over the weekend, the former Olympian said she wants to start looking at how she can promote LGBT rights better. 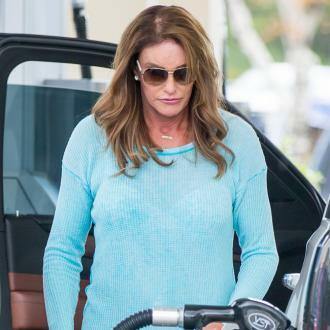 Continue reading: Could Caitlyn Jenner Be Heading For Congress? It was the trial of the Century and, arguably, set the Kardashians on an even greater road to fame than they were already traversing but it seems Caitlyn Jenner disagreed with the outcome and has since revealed she knew O.J. Simpson killed his ex-wife, Nicole Brown. The step-father of Rob, Kourtney, Khloe and Kim Kardashian revealed in an interview that she and her ex-wife Kris Jenner both believed that American football player, Simpson was guilty of the murder of their close friend, Nicole and Ron Goldman. 66 year old Jenner is suing paparazzi photographers who were chasing her on the Pacific Coast Highway when the fatal accident happened last February. Caitlyn Jenner has filed a lawsuit against paparazzi photographers for what she claims was their role in the fatal car accident in which she was involved last year. The lawsuit describes the alleged behaviour, as Jenner drove along the Pacific Coast Highway in rainy conditions, as tailgating her vehicle, driving too close and generally behaving recklessly in an attempt to get pictures. The actor says he believes Jenner had “no clue” of what being transsexual involved when she made the decision to transition. British actor Rupert Everett has said he thinks Caitlyn Jenner made a terrible mistake in choosing to transition, believing she had “no clue” of what being transsexual involved. The 57-year-old was speaking to The Sunday Times Magazine, where he also gave his opinions on young people undergoing hormone therapy. 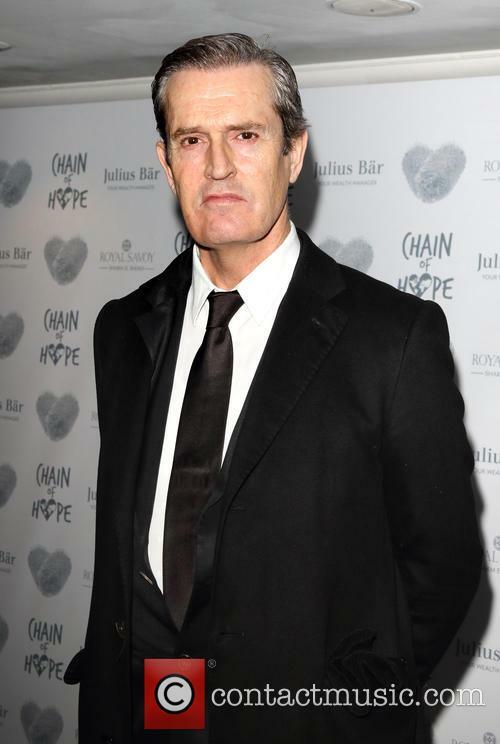 Rupert Everett thinks Caitlyn Jenner made a 'terrible mistake' in choosing to transition.